I am a beauty product junkie. I’m always trying the latest beauty products searching for something that will help me defy my age. Don’t get me wrong, I’m proud to be 50. 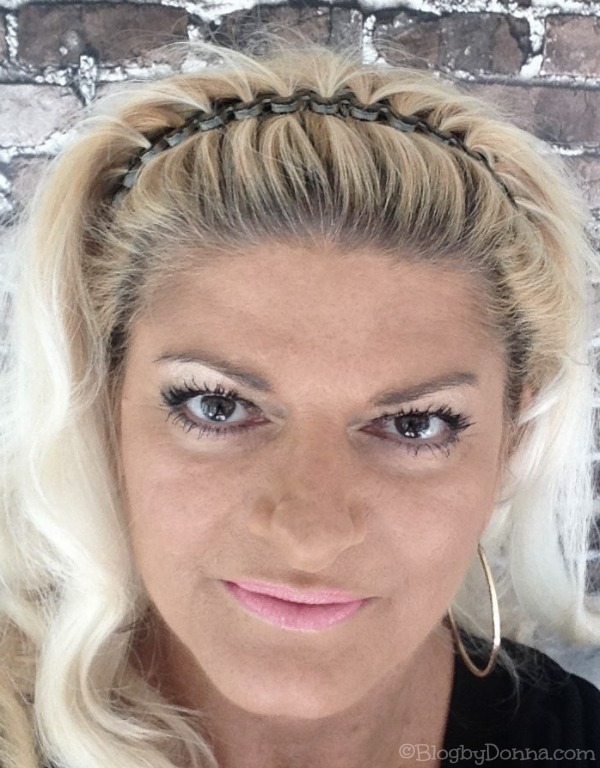 In fact, I’m loving being 50… but that doesn’t mean I have to look like I’m fifty. Right? I have a few fine lines on my forehead, especially my glabella (that’s the space at the top of your nose between your eyebrows), under my eyes, my laugh lines, and around my lips. I don’t want to go under the knife to get rid of them, but would so love to find a way to smooth them out…. that’s painless and relatively inexpensive. 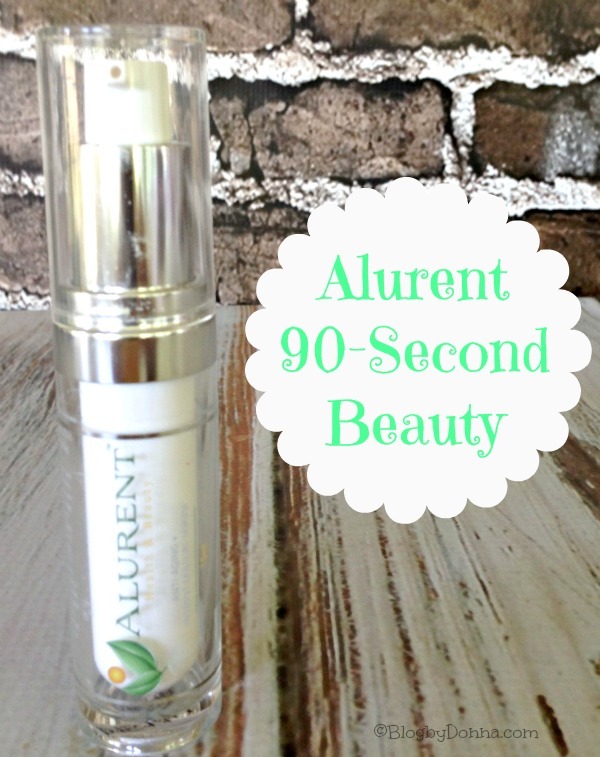 I recently tried out a new, patented skincare product that is helping me achieve a smoother complexion in just 90 seconds – Alurent Anti-Aging + Instant Erasure Serum. And I do mean 90 seconds. One and a half minutes. That is all it takes to smooth out those fine lines and creases/wrinkles. On the left is before Alurent 90-Second Beauty (it was a slightly different angle and I was a tad bit closer to the camera) and on the right is 90 seconds after Alurent 90-Second Beauty. As you can see from my before and after photos, there’s definitely a noticeable difference. I love that Alurent Anti-Aging + Instant Erasure Serum provides a safe and effective anti-aging technology. 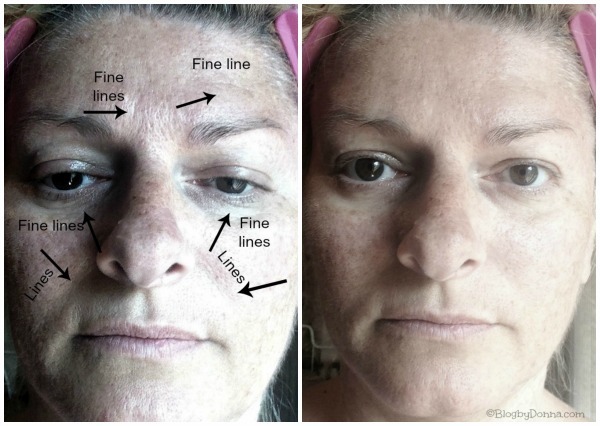 As I mentioned earlier, I want a painless solution to my fine lines and wrinkles. I used just a small amount of Alurent Anti-Aging + Instant Erasure Serum on the fine lines on my face and gently massaged it in. I waited 90 seconds and wa-la… lines were gone. Seriously… gone. This was approximately 3 hours after applying Alurent Anti-Aging + Instant Erasure Serum under my makeup. Oh, and being able to wear it under my makeup was a must for me. I love my makeup, but I’ve noticed lately that my makeup was actually accentuating my fine lines. This made me very sad. Alurent Anti-Aging + Instant Erasure Serum has turned my frown into a smile and made me one happy mama! Now my makeup just glides over the areas where my lines used to show. Right now you can get Alurent Anti-Aging+ Instant Erasure Serum is discounted from its regular price of $79.95 to $50 + FREE shipping http://www.alurent.com/alurent-anti-aging-instant-erasure-serum.html. Just add to your shopping cart and enter the SHOP50 code at checkout. It’s a risk free trial – 14-day money back guarantee.This is more than a $30 savings! I want this product! I’m noticing the “crow’s feet” and wrinkles under my eyes. I’ve tried some products but they don’t work like I would like it to and I don’t want to go under the knife or inject myself either. Thanks for sharing this! Wow! this is so impressive! You are a GORGEOUS 50 year old. I would have guessed 30s. I too am a beauty product junkie. This stuff is impressive. My prblems are forehead and around the mouth. Thanks for sharing! Looks like it is making a difference. I will have to look into this more.